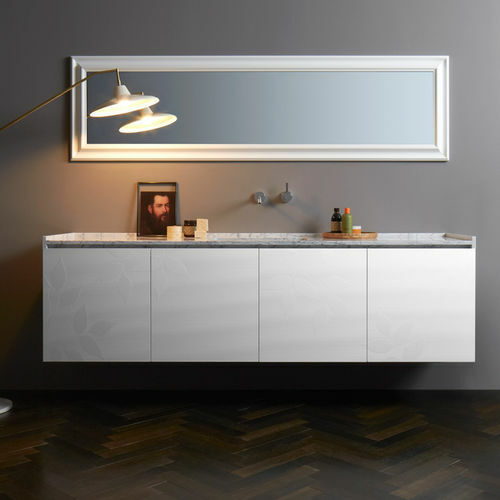 Features: Wall-mounted washbasin base cabinet with four doors, P205 matt lacquer finish, with P750 matt interiors. 3D Green Life texture which continues over the fronts and sides. Carrara marble countertop, CLASSIC mirror P205 matt lacquer finish. 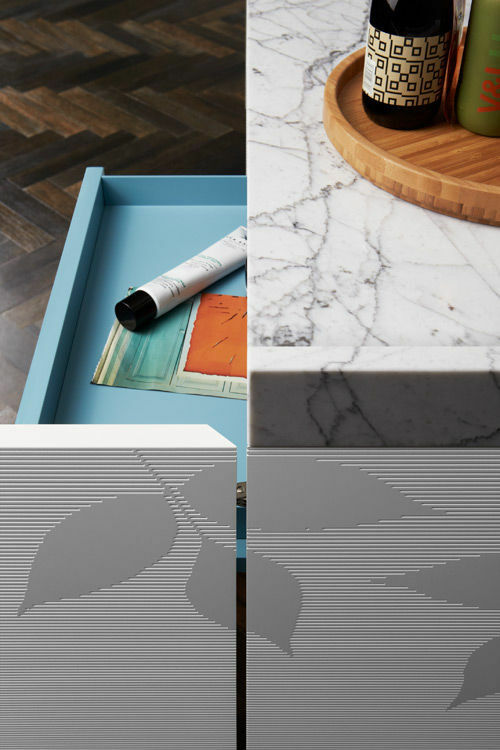 In the foreground BOX drawer unit P725 matt lacquer finish. 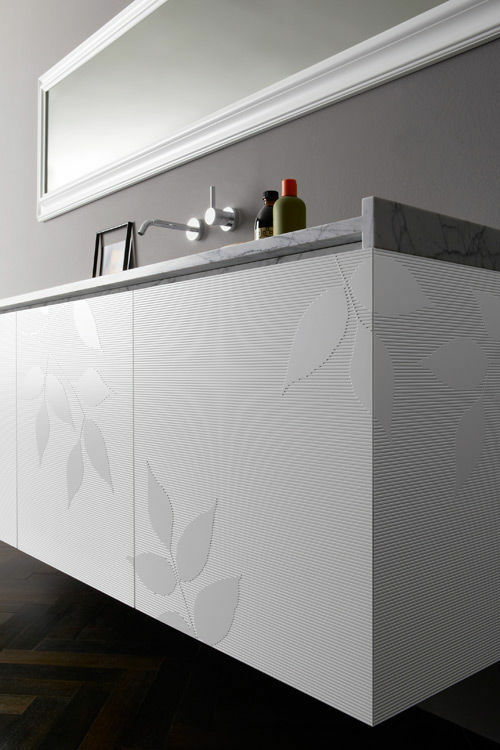 Collection of wall-mounted cabinets which can be interpreted as wished by choosing from amongst the endless materials, finishes and textures offered by Capo d’opera. 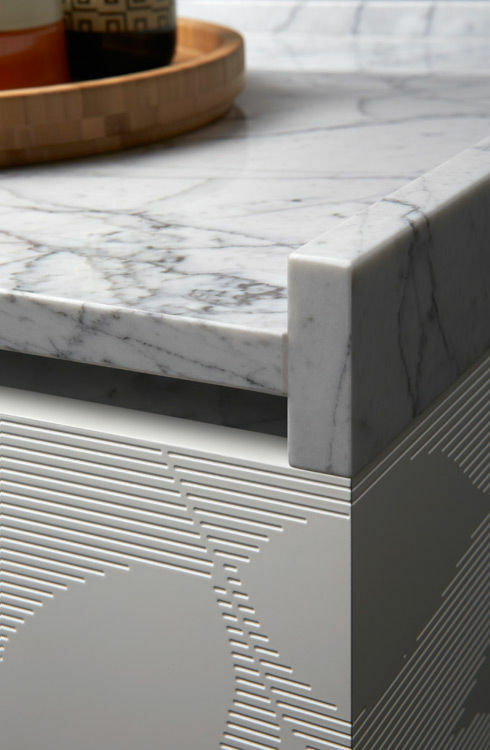 Eye-catching detail on the marble or Solid Surface top.